1.Features 1 Light Up Function-Change Flash. 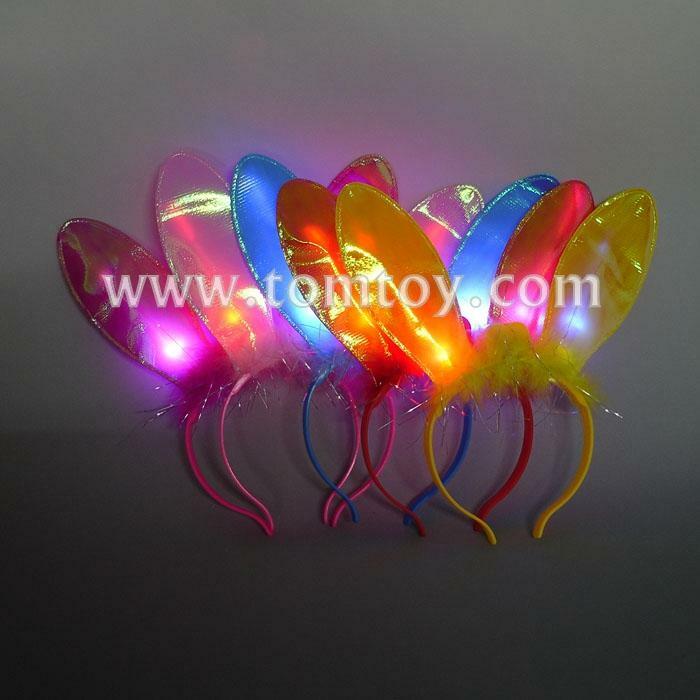 2.we can provide the Cute Rabbit Ear Headband with 2pcs LED. 4.Suitable for Holiday、parties and bars.